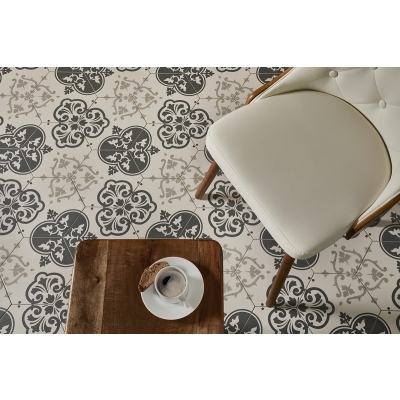 Inspired by the patterns popular in the arts and crafts movement, Heritage is AKDO's newest porcelain collection. 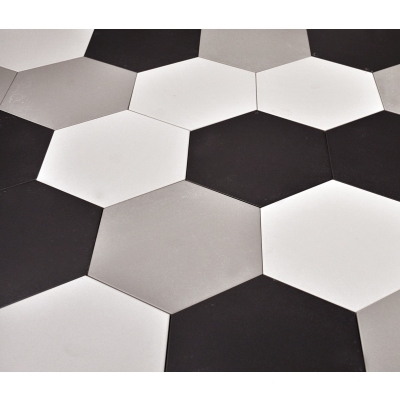 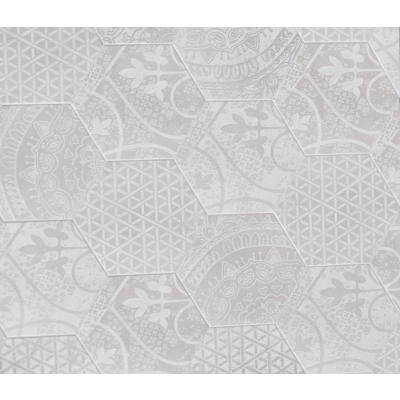 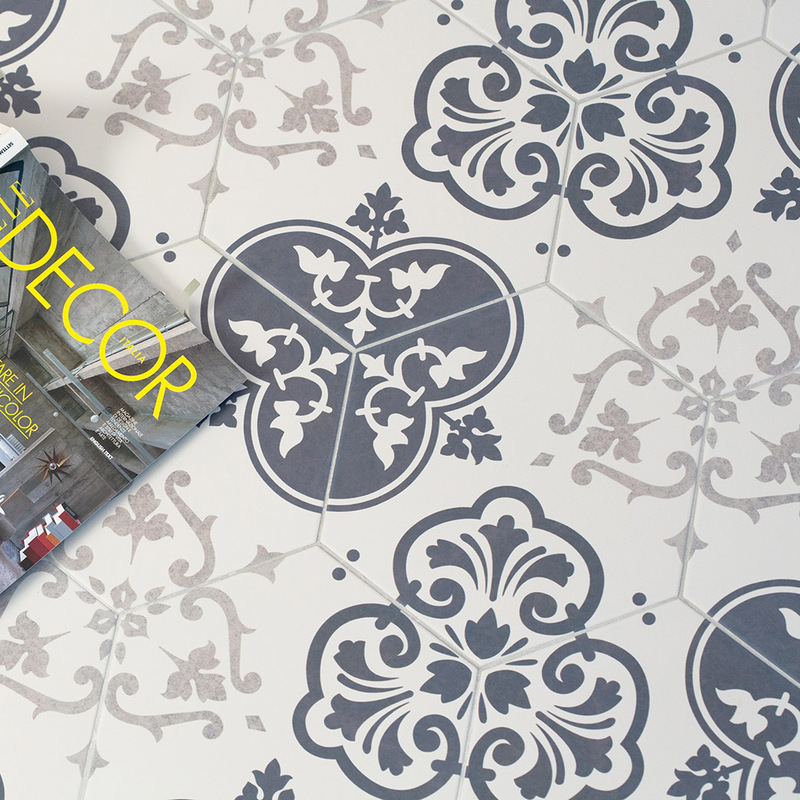 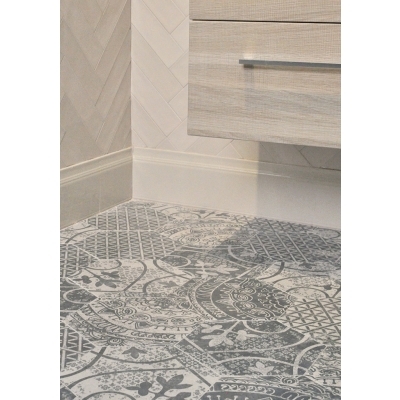 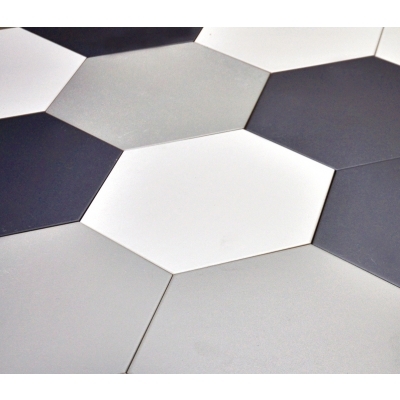 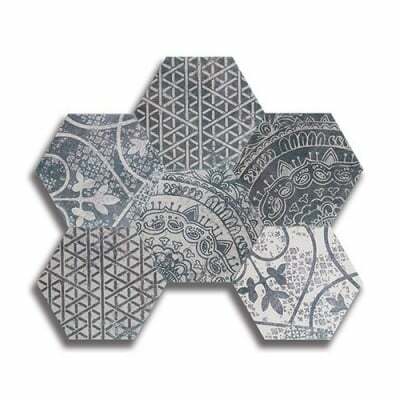 The hexagonal shaped tile line has three patterns that create a handmade vintage look. 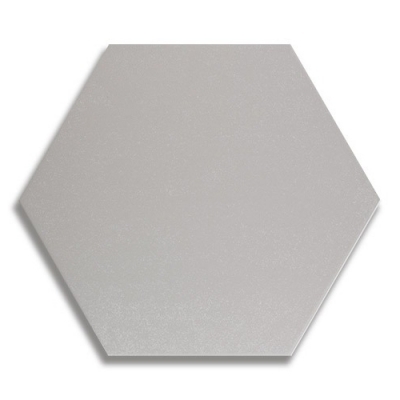 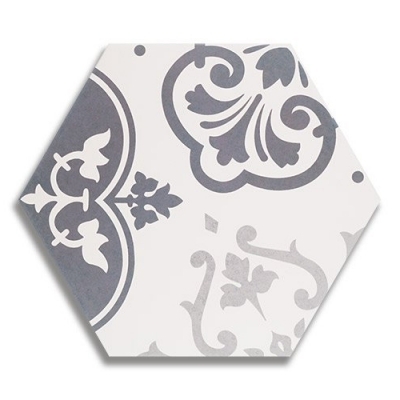 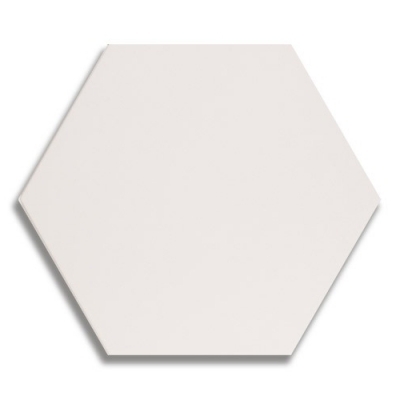 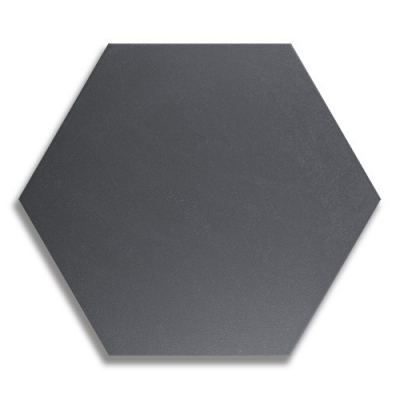 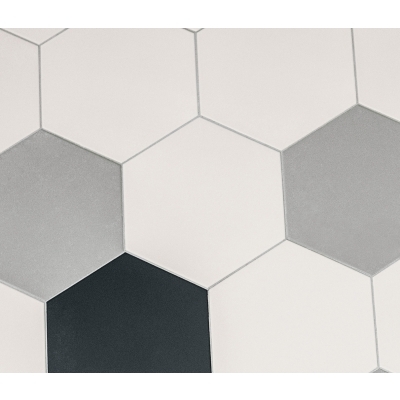 Heritage also includes three solid color hexagon tiles that can be used alone, in a custom field, or as random inserts in a field of one of the blends. 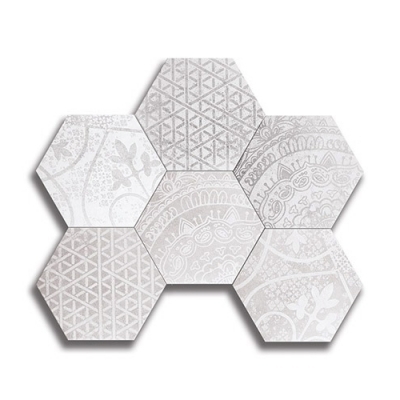 This variety of options allows designers to develop their signature take on the developing hexagon trend.